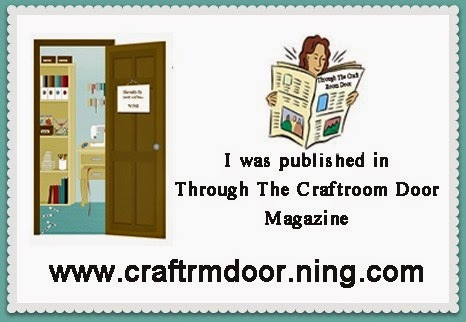 I am excited today to be the Guest Designer for the Crafting by Designs blog! 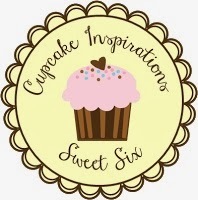 I wanted to create a fun, adorable, and meaningful card for this blog. 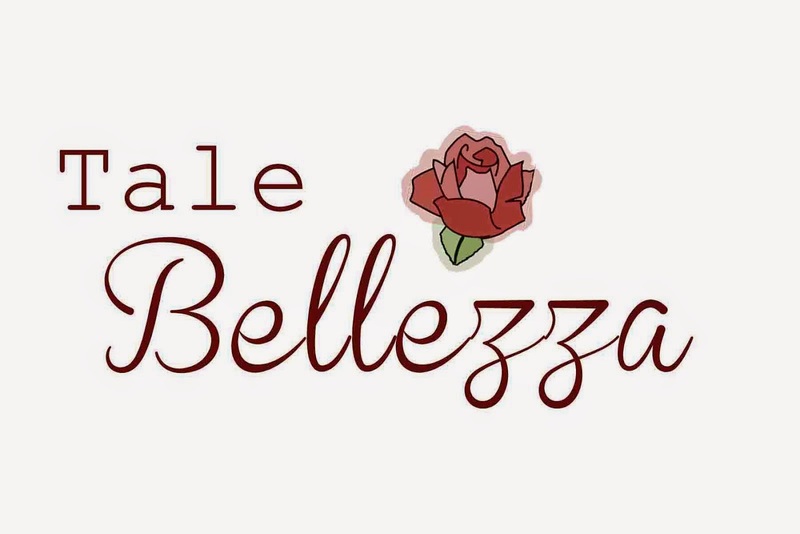 Check out my project and let me know if you think I have accomplished my goal! I had a great time making it! This card is a tri-fold card. The image on the front cover is "Messy Jessy" from the Besties collection. She was colored using Photoshop and adorned with flowers, pearls, and love! The "Love" letters and Scrabble tiles were made using the Plantin SchoolBook Cricut cartridge. They were inked to add a bit of pop! The saying, "Some days there won't be a song in your heart, but sing anyway" was designed to cheer up and to provide encouragement to someone in need. 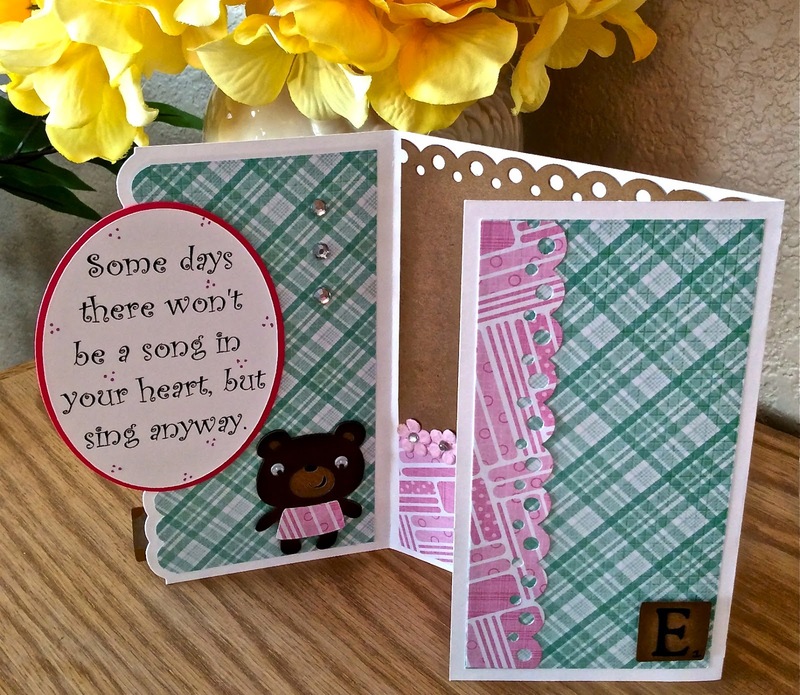 It is paired with an adorable bear cut using the Create a Critter Cricut cartridge. The hearts on the right side of the card were made using the Jubilee Cricut cartridge. The center space provides a box to add your sentiments and/or greetings. Paper flowers and a Martha Stewart border punch complete the box. I hope you enjoyed my project today. 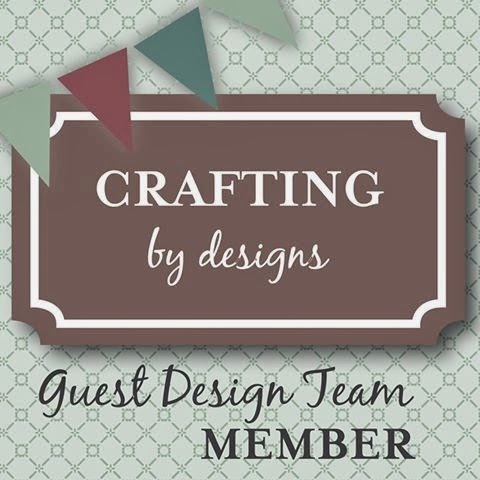 Thank you so much to the design team at Crafting by Designs for selecting me as a guest designer for their blog. 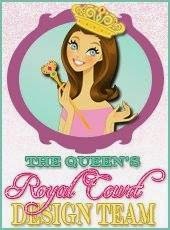 It has been a pleasure designing this card and being a part of your blog today. 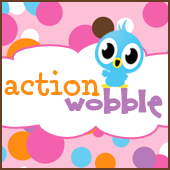 Cute and fun! Love those colors! 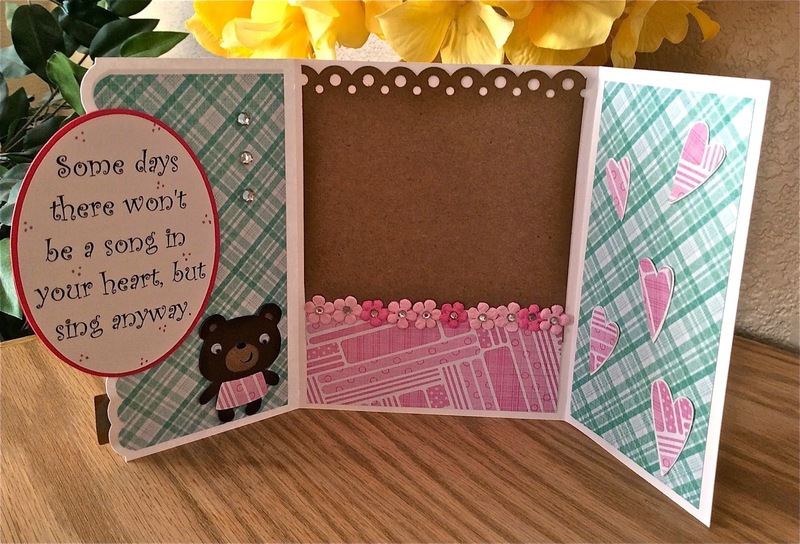 Thanks for joining us at Cut It Up Challenge blog! Congrats on your GDS!!! Adorable image on a very SWEET card!! Very cute! I love the little flowers and the surprise bear inside! This is fabulous! I love the folds and the different panels, very cute images also! Thank you for joining us at Pile It On! A beautiful, clever design with gorgeous papers and a fabulous image! Cindy you sure did accomplish your goal because we LOVE it! 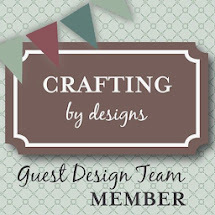 Thanks so much for joining us as a Guest Designer at Crafting by Designs! Hi Cindy! This is GORGEOUS. Congratulations on our Guest Design Team spot this week. They are blessed to have you share your talents with them, and I also feel blessed that you have stopped by to share this AMAZING card in our challenge as well. Thanks SO MUCH, and please join us again soon. It's a real treat! You have created such a sweet card! I really love the colors and this stamp. Thank you for joining our 'Floral Fantasy' challenge at Pile It On, we will be glad seeing you again! 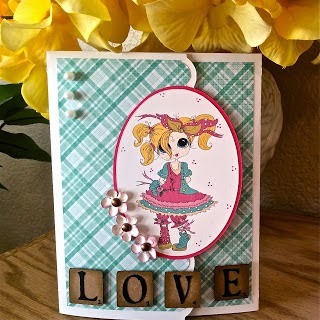 Such a wonderful card you have here and love how you decorated the inside too. Just perfect! We are so blessed that you joined us at our Word Art Wednesday Challenge this week. Hope you join us again shortly in our new Challenge. Leaving you with God's Word in Psalm 29:11, "The LORD gives strength to his people; the LORD blesses his people with peace." Adorable card, lovely image and beautifully decorated inside too. Awww that's a really sweet image and a lovely card.